14933 SAPPHIRE BLOOM CANDLE STAND! 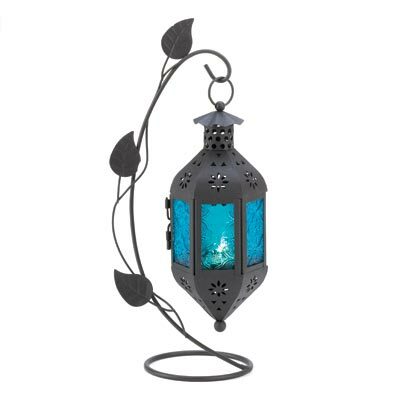 At the end of a graceful vine hangs a lantern of purest blue, blazing with color from a petite candle tucked inside. This freestanding lamp makes a stunning appearance no matter where you choose to enjoy it!